So you say you have your fleet policies articulated in writing, bound in an official-looking document in your fleet office. That’s great! That means you know that having and communicating policy is the single most important thing a fleet manager can do to manage costs and risks associated with a fleet and motor pool. But do your policies sit on a shelf or are you putting them to work for you? Are you communicating and enforcing them manually or are you able to do it automatically? And, which ones potentially can save your fleet thousands, if not hundreds of thousands, of dollars? 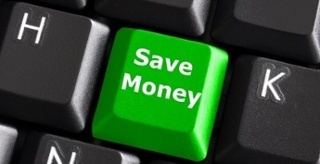 Here are our four favorite money-saving policies and best practices for communication and enforcement. PERSONAL VEHICLE USE POLICY: Personal vehicle use is prohibited when motor pool vehicles are available. It is clear that requiring employees to use a motor pool vehicle is considerably more cost-effective than reimbursement for personal vehicle use in most cases. But how do you control it before-the-fact? One way is by going to an all-online vehicle reservation process that requires drivers to check for the availability of a motor pool vehicle first. Only if a vehicle is not available should drivers be allowed to use their own vehicle. This enables organizations to drastically cut back on personally-owned vehicle (POV) mileage reimbursement. 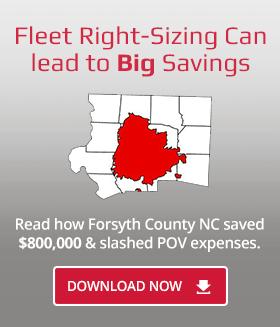 Agile's customer at Forsyth County NC, for example, slashed their POV expenses by 50% with this policy: “We can green our fleet by putting the right vehicles in the right areas and putting mileage on older model vehicles rather than have them sit there unused," they say. "We now have total control of our vehicles. We can see when some groups have unused vehicles while others must use their own personal vehicles at the county's expense to conduct official business. Sharing vehicles among departments has enabled us to significantly cut POV reimbursements that were a considerable expense to our county.” POV expenses were targeted for reduction when the county first rolled out FleetCommander in 2011. "We have more than surpassed our goals by reducing POV by 50%. That alone has been a huge success for us.” Insurance liability for personal vehicle use is another reason for reducing POV usage, and there are many more reasons to keep it to a minimum. ACCURATE ODOMETER COLLECTION POLICY: Accurate odometer readings should be reported or collected on regular, timely basis. Odometer readings are considered one of the most essential data points in fleet management. Not only does having accurate odometer values help guarantee that preventative maintenance is kept current (which ensures a safe fleet), it also provides accurate vehicle valuation and life cycle stage data for right-sizing. Having accurate and current odometer values helps you determine value of vehicle and be able to make decisions about when and if you should get rid of it or replace it. Keeping an aging fleet past its optimal budgetary lifespan can cause a fleet to incur costs ranging from excessive maintenance to increased fuel usage and, ultimately, reduced utilization. If you do rely on drivers to input data, FleetCommander produces mileage threshold warnings if drivers attempt to put in mileage values such as 9999999 or 0000000. FleetCommander GPS solutions also track odometers automatically. VEHICLE CHOICE POLICY: Drivers are required to use the smallest, most fuel efficient vehicle for the job. This policy supports the operation of a fuel-efficient and cost-effective motor pool. When making a reservation in FleetCommander, vehicle options are displayed. Larger vehicles can be restricted to certain user groups or by validation that a certain number of passengers must be part of the reservation to necessitate use of a larger vehicle. Fleet managers can keep track of vehicle choice by reviewing the reservation reports. This ensures the most cost effective vehicle is chosen for the job. MINIMUM USAGE FOR ASSIGNED VEHICLES POLICY: An assigned vehicle must be used a minimum number of days or miles per month or it will be reassigned or disposed of and motor pool vehicle will be used.